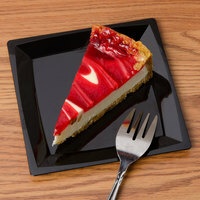 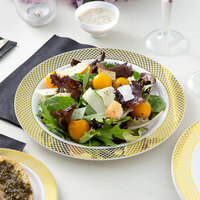 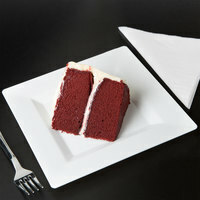 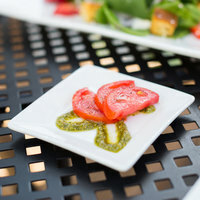 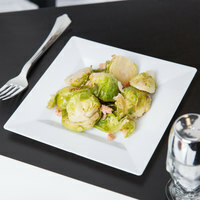 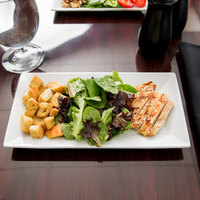 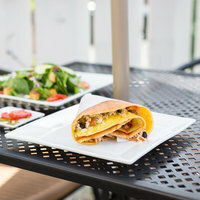 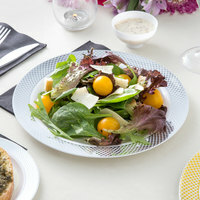 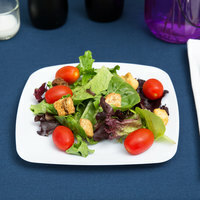 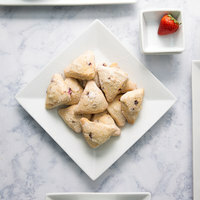 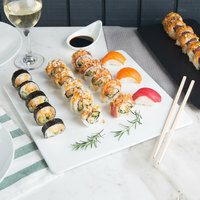 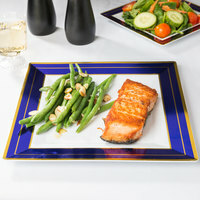 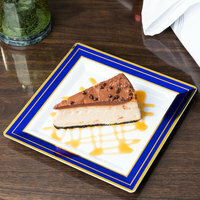 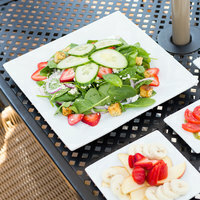 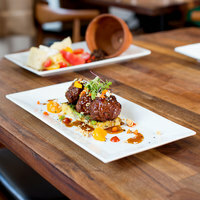 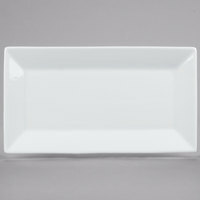 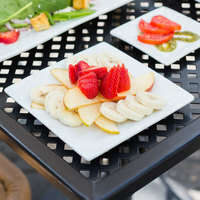 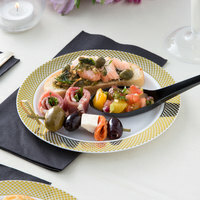 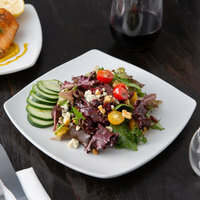 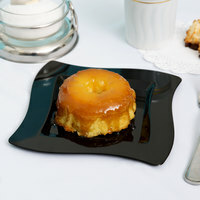 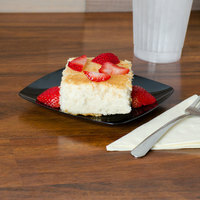 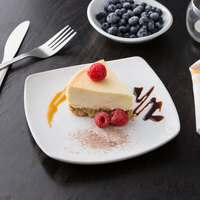 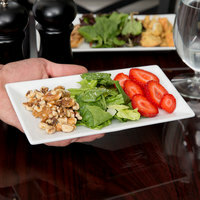 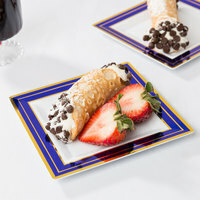 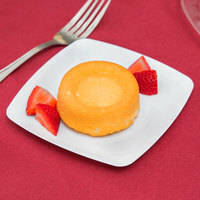 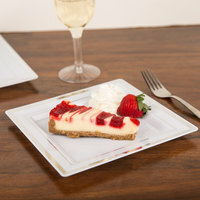 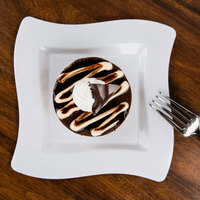 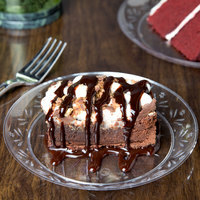 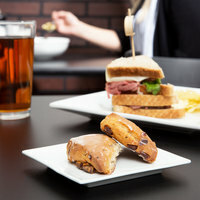 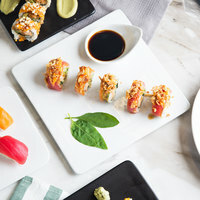 Create a blank canvas to serve salads, entrées, and desserts on with WebstaurantStore’s selection of white square plates. 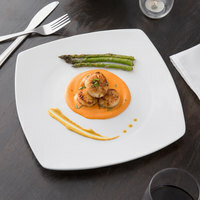 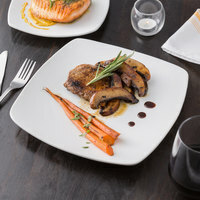 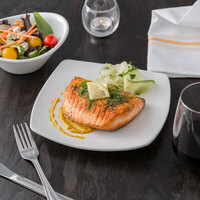 Add a modern touch to any fine dining restaurant, casual café, or bistro with white square dinnerware that matches everything thanks to its simple color and design. 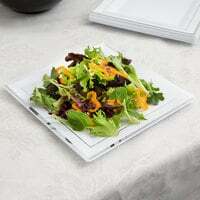 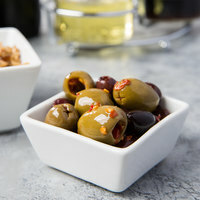 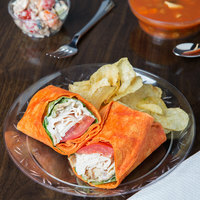 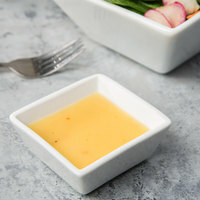 These square white plates are great for serving sandwiches, side salads, fresh seafood, or even fried foods, and its versatile appearance goes with any existing décor. 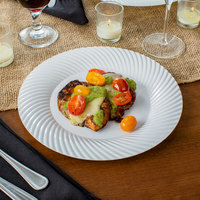 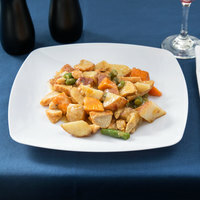 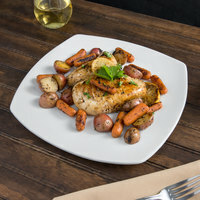 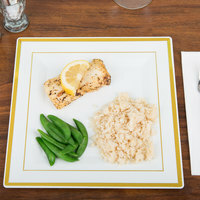 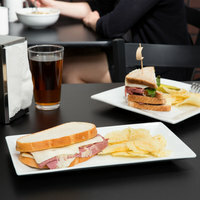 Square white dinner plates are available in a number of materials including paper, plastic, china, and melamine, ensuring that these plates can be used over and over again, or simply tossed in the trash depending on your usage preference.